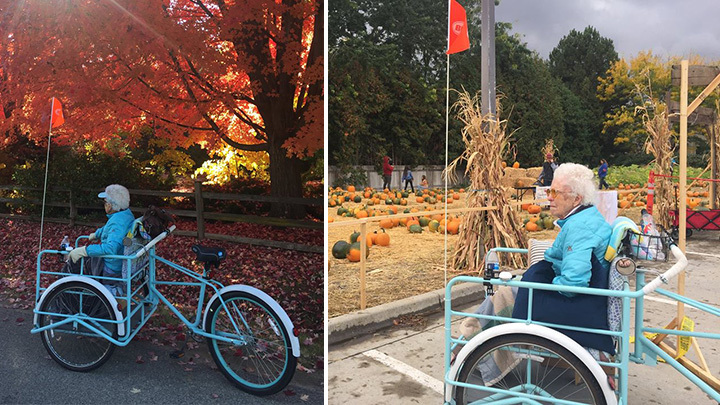 92-year-old Rosemary Sorce of Boise, Idaho, has always loved going on bike rides. Now she can again, thanks to her family. They call it the Blessing Bike. It’s a simple cargo style bicycle retrofitted to carry Rosemary. 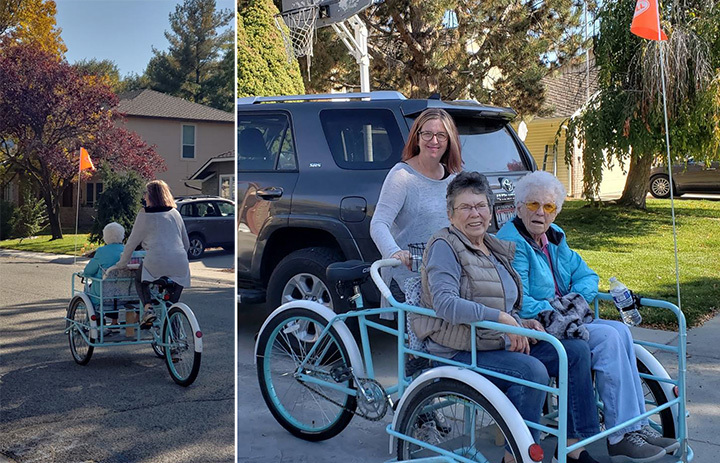 Rosemary’s daughter Jill Houser had the idea to build the special bike for her mother after seeing a video on Facebook. Jill and Wade bought an old rusted cargo bike on Craigslist, made the modifications and repainted it. They gave it to Rosemary for her birthday. 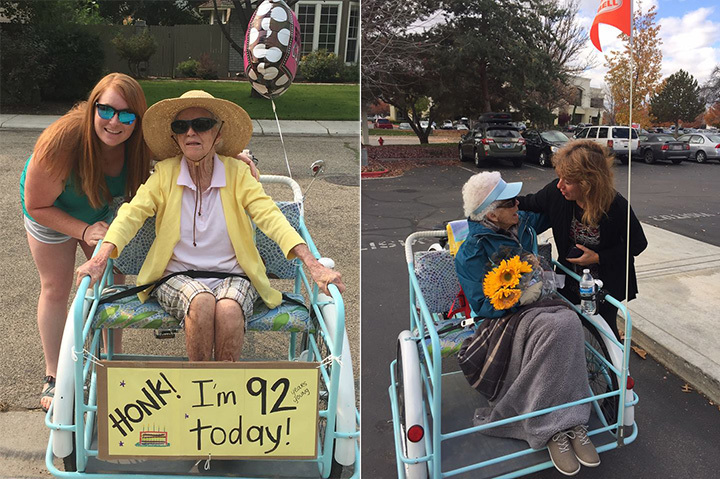 Rosemary instantly loved her new ride. What they didn’t expect, is the deep impact this bike seems to have where ever they go. “We had a man stop us on the street, and he pulled over in a parking lot and physically stopped us on the road and just started crying and said ‘I wish I had this experience for my mom, how do you build a bike like this? What do you do?’,” Jill said. So, they decided to call it The Blessing Bike.